(Sept. 20, 2017) -- Making a bold commitment to develop groundbreaking approaches for treating brain diseases and injuries, The University of Texas at San Antonio (UTSA) has assembled a world-class research enterprise, comprised of 40 of the nation’s leading brain health researchers, dedicated to conquering the greatest mysteries of the brain. 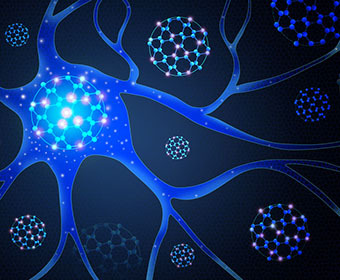 The researchers will leverage their expertise in neurodegenerative disease, brain circuits and electrical signaling, traumatic brain injury, regenerative medicine, stem cell therapies, medicinal chemistry, neuroinflammation, drug design and psychology to collaborate on complex, large-scale research projects that will produce a greater understanding of the brain’s complexity and the factors that cause its decline. This knowledge will be used to develop new and more effective methods for treating debilitating conditions including Alzheimer’s, Parkinson’s, addiction and traumatic brain injury. Jenny Hsieh, a nationally recognized researcher, will join the UTSA faculty this spring to lead the UTSA Brain Health Initiative as the Semmes Foundation Chair in Cell Biology. Hsieh’s research focuses on how to make neurons replicate themselves so a brain affected by disease or injury can replace its own damaged cells and heal. She tackles the challenge using molecular and genetic tools and is focused on understanding the factors that control the brain’s stem cells so she can manipulate and stimulate new growth. She has a doctorate in biology from John Hopkins University and completed a postdoctoral fellowship at the Salk Institute for Biological Studies. The Robert J. Kleberg, Jr. and Helen C. Kleberg Foundation, which has supported medical and science research since 1950, will provide a $2.7 million gift to support Hsieh’s research. “The Robert J. Kleberg, Jr. and Helen C. Kleberg Foundation is glad to be working with UTSA toward finding causes and cures of human brain malfunctions,” said Helen K. Groves, president of the Kleberg Foundation. Hsieh’s work will also be supported by a $1 million gift from the Semmes Foundation. UTSA’s bold vision to become a national leader in brain health attracted Hsieh to the university. She plans to expand UTSA’s work in pluripotent stem cell research and personalized medicine to develop new and innovative approaches to neurodegenerative disease. Hsieh will use CRISPR, a cutting-edge gene-editing technology, to conduct some of her research into personalized, precision medicine. To encourage collaboration, Hsieh will also establish a new core facility at UTSA allowing researchers from around the country to study human-induced pluripotent stem cells. Pluripotent stem cells are taken from any tissue in the human body and genetically modified to behave like embryonic stem cells that are able to develop into any adult cell type. The cells are especially beneficial in brain health treatments, since damaged neurons are unable to replicate themselves. Four additional researchers, recently recruited from some of the nation’s top research institutions, include Hyoung-gon Lee, the John H. Doran, M.D., F.A.C.P. Distinguished Professor in Peripheral Neuropathy, Asif Maroof, assistant professor of biology, Lindsey Macpherson, assistant professor of biology, and Edward Golob, professor of psychology. Lee’s research is focused on understanding the mechanisms of the neurodegeneration related to Alzheimer’s disease. In particular, he is taking a closer look at why neurons appear to be attempting to divide but then die when afflicted with Alzheimer’s. He joined UTSA from Case Western Reserve University School of Medicine. Maroof is researching how brain cells are impacted by aging, injury or disease. Using human pluripotent stem cells, he is modeling neurological diseases, such as Alzheimer's disease and Lou Gehrig's disease, to determine when the brain’s cells are most susceptible or resistant to illness, and how molecular interactions in those cells affect the progression of disease. He joined UTSA from Harvard University. Macpherson’s research centers on wiring and the functional connections between cells within peripheral sensory circuits. Specifically, she is interested in understanding the sense of taste and how the molecules, cells and circuits of the chemosensory system convey information from the tongue and gut to the brain. She joined UTSA from Columbia University, where she completed her post-doctoral fellowship, and The Scripps Research Institute, where she completed her doctoral studies. Golob’s expertise is cognitive neuroscience, specifically perception, attention and memory perception in the auditory system. He studies aspects of hearing that are important to humans, such as determining where a sound is coming from, recognizing speech and music, and relating our actions to perception. Through this work, he is striving to understand the cognitive and neurobiological differences that accompany normal aging as well as neurodegenerative disease. He joined UTSA after serving on the Tulane University faculty, and completing his doctorate degree and post-doctorate fellowship at Dartmouth College and UC Irvine, respectively. UTSA is a Hispanic Serving Institution (HSI) of learning and discovery advancing to recognition as a world-class research enterprise. Learn more about Brain Health Research at UTSA. Learn more about the UTSA Department of Biology. Learn more about the UTSA Department of Psychology. Learn more about the Robert J. Kleberg, Jr. and Helen C. Kleberg Foundation.